LipService revive one of their classic pieces. 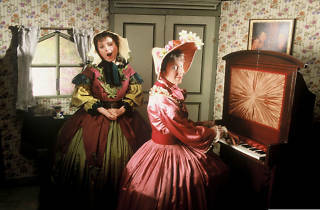 LipService, Britain's favourite literary lunatics, celebrate 25 years since the launch of their multi award-winning cult show Withering Looks, a show that takes a satirical look at the lives and works of the Bronte sisters. Withering Looks has won a Manchester Evening News Theatre Award and the Critics Award for Comedy at the Edinburgh Festival. LipService have just won the Stage Door Foundation Award for Excellence.